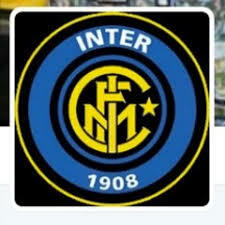 Home › Champions League › Tottenham’s Fans Meet Your Opponent : FC Internazionale Milano! Football Club Internazionale Milano, commonly referred as to Internazionale or simply Inter, will be Tottenham’s Hotspur first Champions League opponent. It won’t be an easy journey for the north London club, expecting another tough game after two consecutive defeats against Watford and Liverpool. Inter is the only Italian club to have never been relegated from the top flight and won the Champions League three times(1964, 1965, and 2010). The club has won three UEFA Cups and two Intercontinental Cups. 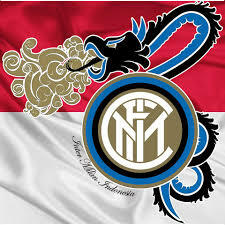 Since his founding in 1908, Inter’s logo has black and blue stripes; it’s rumored that black was chosen to represent night and blue chosen to represent the sky, thus their nickname “Nerazzurri”. In 2008 the club celebrated their centenary by adding Milan’s flag red cross on their away shirt. Animals are often used to represent football clubs in Italy; the grass snake, called Biscione or Serpente is an important symbol of the city of Milan and featured in the 2010-2011 away shirt. 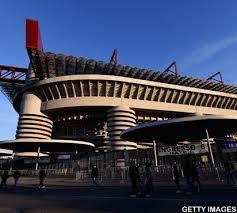 Inter’s home games are played at the San Siro Stadium, also known as the Stadio Giuseppe Meaza; it’s the largest one in Italy with a capacity of 80.018 seats. Based on the English model for stadiums, San Siro is specifically designed for football matches and it is renowned in Italy for its fantastic atmosphere because of the stands’ closeness to the pitch.The frequent use of flares by the supporters contributes too, even when that practice has occasionally caused some problems. Inter’s most vocal fans, the die hard supporters are known to gather in the Curva Nord, the north curve of San Siro; they bring banners and wave flags in support of their team. The club was founded on March 1908 as Football Club Internazionale, following the schism with the Milan Cricket and Football Club (now A.C Milan). The name of the club derives from the wish of its founding members to accept foreign players as well as italians. Inter won its first championship in 1910 and a second ten years later(1920). In 1960, manager Helenio Herrera joined the Italian club from Barcelona; the newcomer transformed Inter into one of the greatest teams in Europe. He modified a 5-3-2 tactic known as the “Verrou”( door bolt) by changing the fifth defender to a sweeper or libero behind the two center backs. In 1964 Inter reached the European Cup Final by beating Borussia Dortmund ; in the Final they beat Real Madrid and then won the Intercontinental Cup against Independiente. A year later they repeated the feat by beating two time winner Benfica. The 1990s was a period of disappointment; Milan and Juventus were more successful both in domestic and European competitions. Fifteen years later, Inter went on a record breaking run of 17 consecutive victories in Serie A and won the Scudetto. Inter enjoyed more success in the 2009-2010 Champions League, by defeating reigning champions Barcelona in the semi final and beating Bayern Munich in the Final 2-0 . Since then, changes in ownership, cash flow problems and badly kept accounts, gave nightmares to the club’s faithfull; after several modifications in the club’s financial structure (+a fine for breaching UEFA Financial Fair Play Regulations) the club clinched a UEFA CL group stage spot thanks to a 3-2 win against Lazio. In the 2010-11 group stages, Inter beat a ten-man Tottenham 4-3 at home (despite Gareth Bale’s hatrick) and Spurs won 3-1 at White Hart Lane. While Inter Milan enjoyed a good summer window, signing no less than nine first-team players, Tottenham got distinguished by signing no one. A team still needed to gel the newcomers versus another more settled, but tired after the World Cup …the answer will be given on the pitch. ‹ Ligue’s 1 Conforama, new generation: future stars or not…?